Spitfire I Outboard Outrigger Hydro. Epoxy/fiberglass construction. 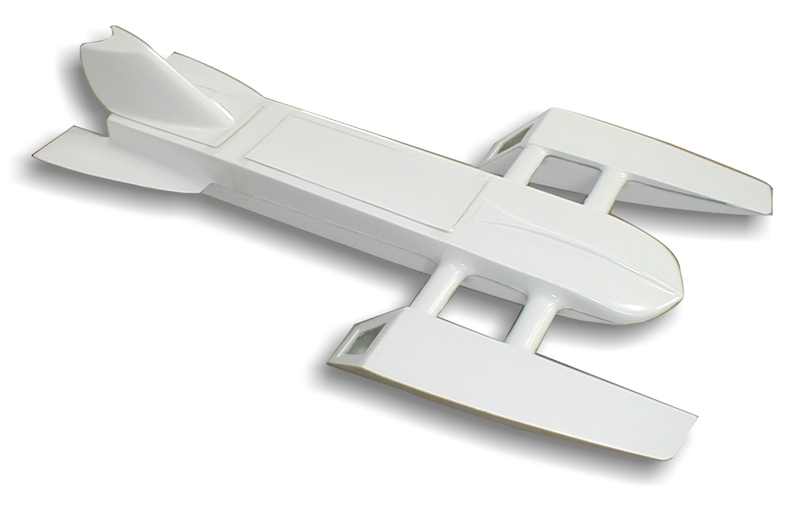 White-primered in the mold produces an easily-finished project hull. Hardware and radio kits optional.